The AIC Archery program started in 2011 as an after school program. Equipment and funding were provided by Easton Foundations. It began as an educational activity to engage youth with STEM learning by utilizing archery as cultural pedagogy. In January 2014, the program was revamped to include the USA Archery affiliated Junior Olympic Archery Development (JOAD) club and Adult Archery Program (AAP), along with weekly lessons to further involve Chicago communities. Tammy Besser is a USA Archery Level 4-NTS Coach. In addition to coaching at AIC, Tammy is currently the Archery Club coach at Northwestern University and instructs veterans with disabilities. She previously instructed with World Sport Chicago and the Chicago Archery Center. Tammy's also certified by Archery Education Resources and participate in workshops on equipment repair and maintenance and bow-fitting. Tammy is a Licensed Clinical Social Worker and has received training on many of the interventions and techniques commonly employed in sports psychology. 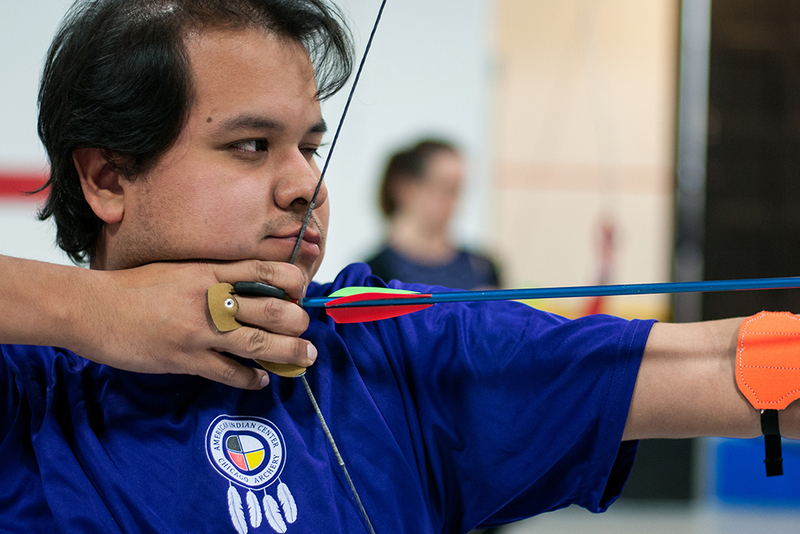 Michael Garcia is Choctaw and a USA Archery Level 2 Instructor. We are back to our regular schedule. Please prepay and register for classes on the archery registration page! Each class has a limited number of spots. We are a Junior Olympic Archery Development (JOAD) and Adult Achievement Club. Contact us to join and for practice and star pin shoot dates/details.